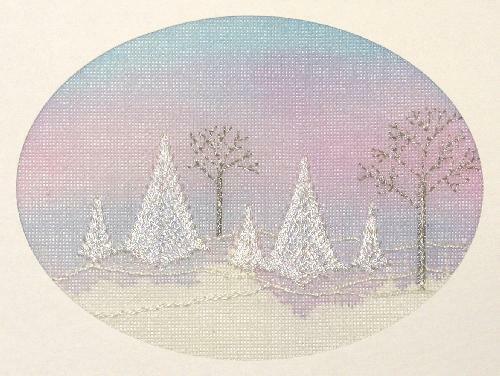 This popular winter scene is stitched over a hand painted background. The painting is very simpple, and full painting instructions are included in the chart. The design uses only three threads in pearl and silver.